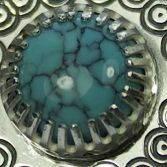 My Turquoise & Bee necklace is made from a solid sterling silver Hexagon which has a pretty texture stamped on front and back. 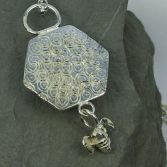 The pendant element measure 40.0 mm in length (including Bee) and is 20.0 mm wide. The Turquoise & Bee have been hung on a strong Belcher chain with links that measure 3.4mm by 2.5mm. The chain length is 18inches but can be worn at 16 inches or 17 inches as it has loops to wear shorter and it has a strong contemporary round & flat face trigger clasp. 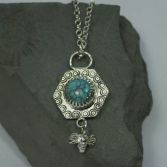 The Textured Turquoise & Bee necklace has full UK hallmarks. If you would like a longer chain then please do email me julie@juliebrandonjewellery.co.uk. Please note this item is made to order so please allow take 6-7 days from date of ordering. 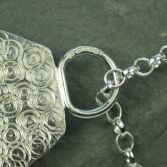 Due to the handcrafted nature of this items some differences may occur in the hand stamped pattern, however images are a good representation of the necklace you will receive. 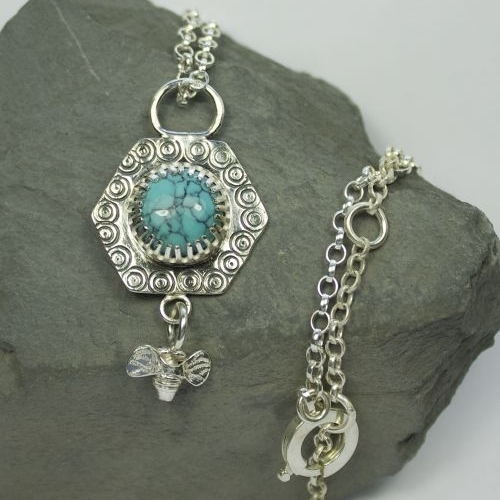 Your Turquoise & Bee Necklace will be presented in a gift boxes and posted via Royal Mail special delivery (signed for) to any UK address free of charge.